The Youth I.D.E.A.S. 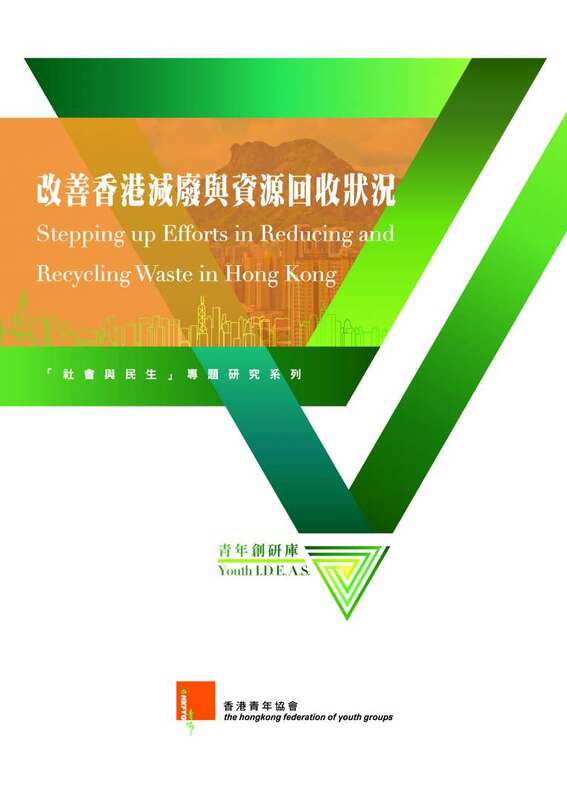 (established by HKFYG Youth Research Centre) has released its study on “Stepping up Efforts in Reducing and Recycling Waste in Hong Kong”. Data gathered from 520 Hong Kong youth aged from 15 to 34 showed that about 60% of them had “occasionally” or “frequently” recycled plastic (66%), paper (60.6%) or metal (59.4%) in the one month before survey. However, 31.1% had “seldom” or “never” recycled garbage. Among of them, 63.6% was saying the main reason was inconvenience. Lack of policy and regulations, difficulties faced by recycling industry, and the inconvenient recycling facilities were the three main barriers to promote waste reduction and recycling in Hong Kong. Amongst recommendations were updating and further improving relevant legislation, increasing the quantity of recycling facilities, strengthening support for recycling industry, and promoting waste reduction and environmental friendly lifestyles through a “Plastic Free Day”.